A pool hall overhead lighting system collapsed without warning and could have caused serious injury to pool users. Certain types of aluminium pool hall lighting systems operate on runners. The lights are attached by means of a plastic bracket / roller that are difficult to observe when in situ. 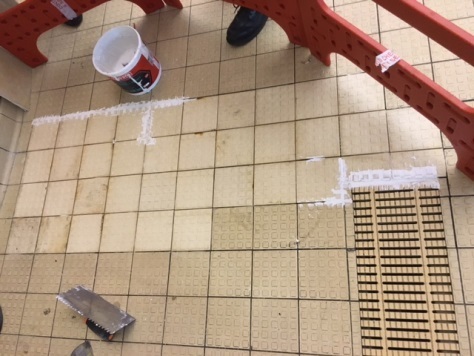 Inspection of the plastic brackets / rollers at two separate swimming pool sites following the incident found severe degradation / perishing of the plastic on many of the lights found. All of the lights have had to be replaced. The purpose of this safety alert is to advise owners or managers of premises where such lighting systems may be found of the risks of collapse from a certain type of pool hall lighting system following an incident at a public swimming pool. 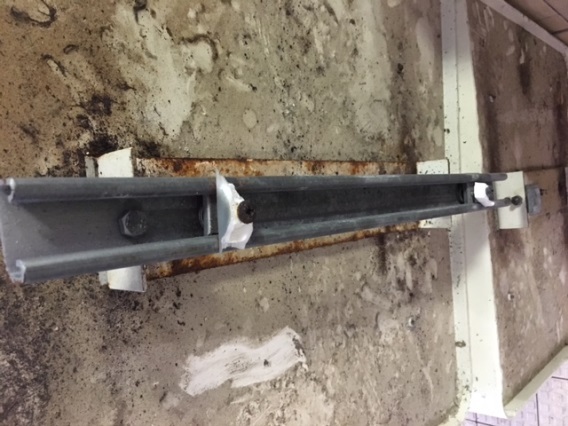 The findings from HSE and the Local Authority investigations indicate that the plastic bracket / roller system, found on a certain type of aluminium lighting system which operates on a runner, is liable to severe degradation over time and can break and collapse without warning. Two leisure centre swimming pools were built in South Wales in 1987 and 1989 with square aluminium lighting units that were connected together in a series of three lights. These were then mounted onto runners supported from the ceiling structure. 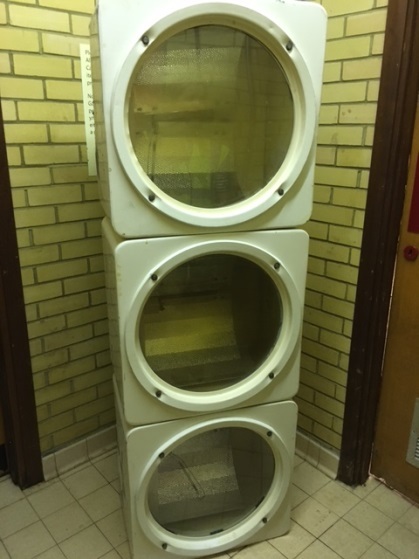 The lights were mains powered and fitted with sodium lamps. The dimensions of the set of three lights together are 1800mm (length) x 600mm (width) x 400mm (depth). Details of the manufacturer have not been fully established. Photographs 1 & 2 show the lighting in situ at one of the leisure centre pool sites and the lighting unit that collapsed. Inspection of the lights took place in September 2013 and the condition of the plastic brackets / rollers was not identified as being an issue at that time. However, inspection of the lights in situ would allow very limited visual inspection of the brackets owing to them being located in the metal roller channel. Photograph 3 shows the view any inspection would have of the bracket / roller arrangement when in situ for this particular type of lighting. The plastic bracket / roller is secured to a metal profile attached to the lights using a steel bolt and square plate. 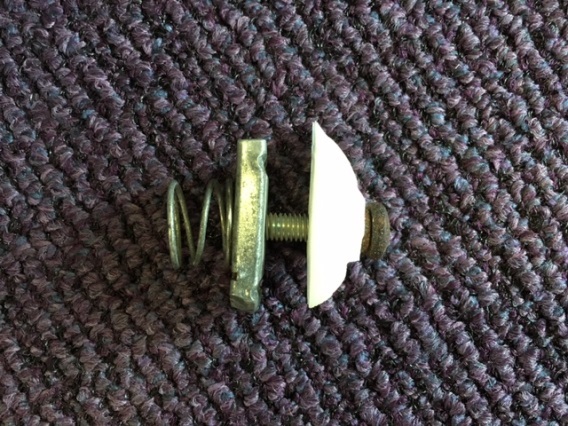 The bolts showed signs of rusting that may have contributed to the degradation of the plastic bracket / roller. The bracket / roller supports the weight of the three aluminium lighting units which are joined together. 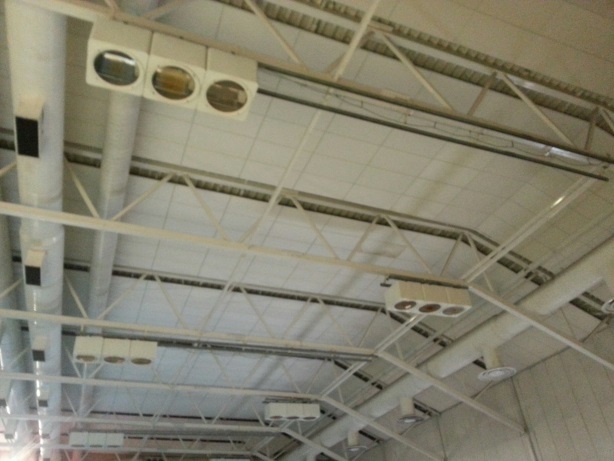 The set of three lighting units, which are secured together, were supported by six bracket / rollers (two brackets / rollers per individual light unit). Photographs 4 and 5 show a broken plastic bracket / roller that was attached to the lighting unit. Photograph 6 shows a complete plastic bracket / roller that was removed from another lighting unit. 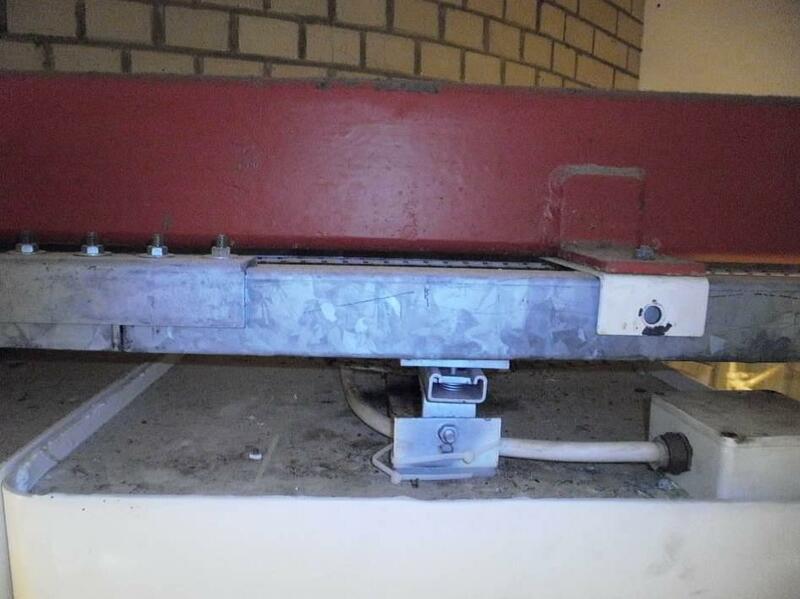 Please note that the wheels will be positioned at the top within the runner channel fixed to the ceiling structure. During a public swimming session where approximately 10 swimmers were using the pool, a set of lighting units fell to the deck surrounding the pool. Fortunately, nobody was stood next to the pool at the time as the collapse could have caused serious injuries. 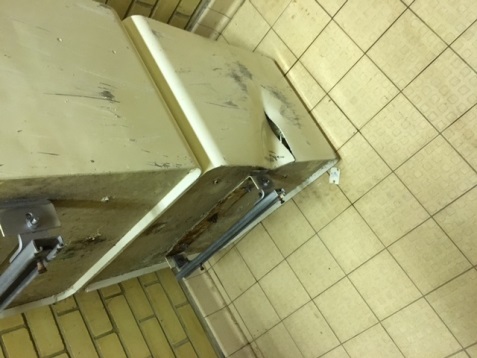 Photographs 7 and 8 show the area of tiles that were replaced and the damage to the lighting units involved. 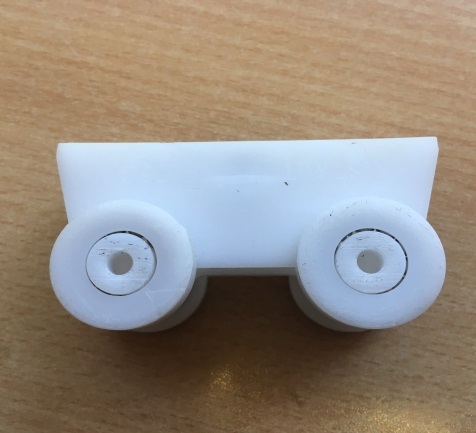 Carry out thorough inspection of the condition of the plastic bracket / roller where similar designed plastic brackets / rollers are found to be present and, where age or condition gives cause for concern, consider replacement of the brackets / rollers or fitting additional securing mechanisms where appropriate. Please pass this information to a colleague who may have this Equipment.